HP's new Networking Products and services delivers the increased flexibility to clients to keep pace with the demands of globalization and IT consumerization. HP FlexNetwork architecture is the best solution to the legacy network infrastructures which typically lacks the flexibility required to support virtualized infrastructures, the bandwidth for multimedia applications and the scalability required for the growing number of connected mobile devices. The new HP Networking solutions revealed for virtualization, multimedia applications and enterprise mobility simplify migration to newer Internet Protocols, the 10 Gigabit Ethernet (GbE) networking standard and virtualized branch services. HP FlexFabric - solutions for the data center which improve the performance of server-to-server traffic by up to 80 percent. It include the new 10 GbE HP 5900 top-of-rack switch and the updated HP 12500 switch series. HP FlexCampus - includes the new HP 3800 stackable switches, which provide up to 450 percent higher performance, and a new reference architecture for campus environments that unifies wired and wireless networks to support mobility and high-bandwidth multimedia applications. HP FlexBranch - saves up to 21 percent in cost. The expanded portfolio of new virtualized service modules with technology from HP partners VMware and Citrix helps to speed the service delivery of applications to branch offices. HP FlexManagement - The integrated mobile network access control (NAC) in HP Intelligent Management Center 5.1 streamlines enterprise access to mobile devices and protects IT infrastructure from mobile threats. Up to 300 percent greater network scalability with the new HP 5900 top-of-rack series of 10-GbE switches. The switch is powered by the HP Intelligent Resilient Framework (IRF), an HP innovation that allows four HP 5900 switches to be virtualized and operate as a single switch. Improved network resiliency and performance of the HP 12500 switch series with full IPv6 support through the addition of the updated HP IRF technology with reduced network recovery time by more than 500 times. Manage multimedia and mobility demands with HP FlexCampus with up to 76 percent lower latency and 122 percent higher 10 GbE port density with HP 3800 stackable switches an energy efficient ethernet with reduce power usage by 14 percent versus competing products. In terms of Costs, a reduce up to 35 percent with the HP FlexCampus Reference Architecture optimized for video and unified communications. HP FlexManagement enable unified management of both virtual and physical environments across heterogeneous networks, the updated HP Intelligent Management Center (IMC) 5.1 that now supports 5,786 devices from more than 150 manufacturers and helps protect IT infrastructures. HP also unveiled virtualized services modules for the HP 5400zl and 8200zl switches to ease the deployment of network-based services, the first in the industry to converge blade servers at the branch into a network infrastructure capable of hosting multiple applications and services. The HP Advanced Services zl Module with VMware vSphere 5 and HP Advanced Services zl Module with Citrix XenServer platforms deliver 57 percent lower power consumption and 43 percent reduction in space versus competing products. HP Network Consulting services assist enterprises and governments migrating from Internet Protocol version 4 (IPv4) to IPv6. IPv6 will maximize the effectiveness of an organization’s infrastructure and minimize the risks of failing to connect to customers and partners. HP 5900 top-of-rack switch series is expected to be available in early 2012 in the United States with a starting list price of $38,000. HP 12500 switch with four-chassis virtualized core will be available this fall at no additional cost. 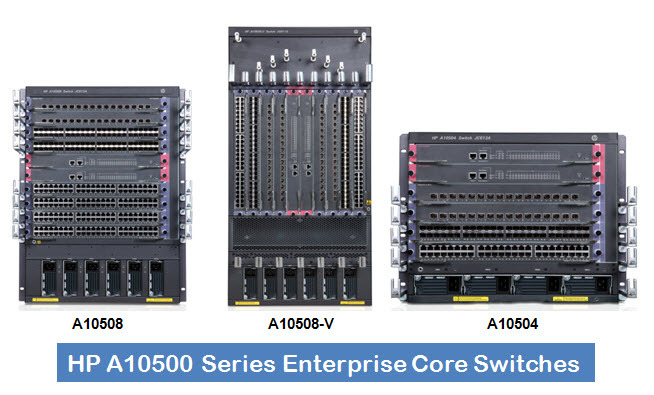 HP 10500 campus core switch is available now worldwide starting at $38,000. HP 3800 line of switches is available now worldwide starting at $4,969. HP zl service modules for VMware and Citrix environments are available now worldwide. The HP Advanced Services zl Module with VMware vSphere 5 (including support and subscription, 8GB of RAM) starts at $5,299. The HP Advanced Services zl Module with Citrix XenServer (including support and subscription, 4GB of RAM) starts at $4,499. HP Intelligent Management Center 5.1 is expected to be available in early 2012 with a list price of $6,995. The core component HP FlexNetwork of the HP Converged Infrastructureenable clients to simplify and speed service delivery across the data center, campus and branch, driving increased agility and innovation. Check out at Las Vegas HP Discover Events on June 4-7 2012. 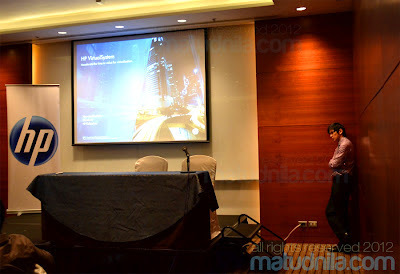 0 comments: on "HP New Networking Solution, HP FlexNetwork, Pricing and Availability"